A heroic nutcracker prince. A little girl’s dream of a Christmas tree touching the sky. Battling mice, a peculiar but kindly godfather, and sugarplum fairies – all are indelible holiday images brought to life every year in productions of The Nutcracker. The Nutcracker’s journey to enduring tradition started in 1954, when choreographer George Balanchine summoned his genius for storytelling and his memories of wondrous Christmases past to set his own version to Tchaikovsky’s score for New York City Ballet. Today, only eight companies worldwide – including the Central Pennsylvania Youth Ballet — are currently licensed to perform that production, now known as George Balanchine’s The Nutcracker®. Countless other versions of The Nutcracker are choreographed and staged each year, but without exclusive licensure by The George Balanchine Trust, they do not convey Balanchine’s unique blend of motion and emotion. “He’s such a magical storyteller, and the way he incorporated so many children into the production made it an inevitable holiday tradition,” says Balanchine Trust Manager Nicole Cornell. Companies seeking the rights must apply to The George Balanchine Trust, submitting proof of dancers’ technique, agility, and speed. Once licensed, they must rehearse and stage the work under the supervision of a Trust-approved répétiteur, committed to maintaining the integrity of Balanchine’s choreography. Meaning, of course, that audiences for George Balanchine’s The Nutcracker® experience intact the vision of the master. 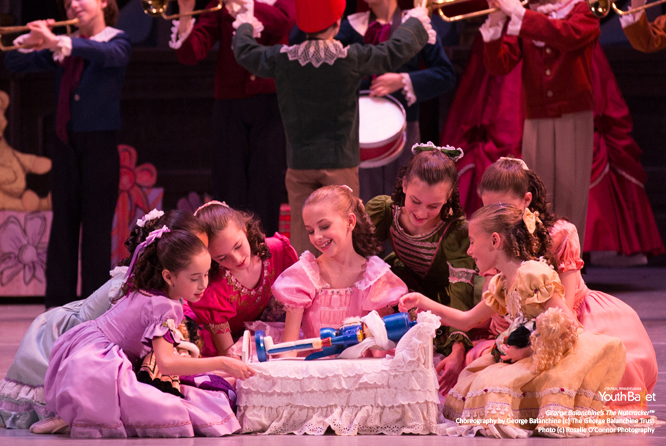 CPYB, the only school licensed to perform the work, has dazzled audiences with George Balanchine’s The Nutcracker® since 1992, giving midstate ballet-goers a treat found only in select, and often much larger, cities worldwide. 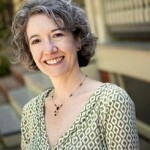 CPYB Associate Artistic Director Darla Hoover is a CPYB alumna and retired NYCB featured soloist. She is also répétiteur for CPYB’s George Balanchine’s The Nutcracker®, assuring that every dancer learns “every step, every count” of the work, she says. At their core, CPYB’s Balanchine productions introduce students to his unique blend of artistry and technique. Those who pursue professional dance careers go out into the world steeped in the Balanchine technique that will be demanded of them. With Balanchine’s adept storytelling, audiences don’t have to know ballet to enjoy his ‘The Nutcracker’, says Hoover. “You can be a 3-year-old who’s entertained, or a 93-year old,” she says. George Balanchine often said that he considered his version of ‘The Nutcracker’ a gift to American children. Today, that gift is still giving, taking children – and the inner child in every adult – to a magical place of Christmas dreams.